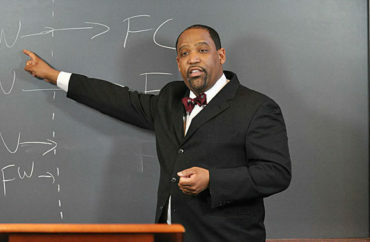 The controversy surrounding Ronald Sullivan, the Harvard dean representing disgraced film producer Harvey Weinstein, demonstrates “the toxic union of identity politics with the consumerist model of education, whereby the student is a customer and therefore is always right,” according to Manhattan Institute scholar Heather Mac Donald. Six Harvard dorms held “listening sessions” attended by emissaries from the university’s Office for Sexual Assault Prevention and Response, whose website urged traumatized students to seek mental-health services and other help from Harvard’s massive Title IX bureaucracy. Harvard’s dean of students and its lead Title IX coordinator attended a student protest outside the main administration building, where the ubiquitous Office for Sexual Assault Prevention and Response doled out hot chocolate. Mac Donald continues to note that these student responses could have been a valuable moment for education. Harvard could have explained to students that defending someone accused of a crime does not mean condoning that crime, and that all defendants have a right to legal defense. The anonymous climate survey arrived in Winthrop House members’ email boxes this month. Predictably, it asked if the house was “racist” or “homophobic” and whether it has a “strong commitment to diversity, equity, and inclusion.” Harvard might as well close up shop if there is any doubt in 2019 that the answers to these questions are no and yes, respectively. And what do racism and homophobia have to do with the Weinstein case anyway? Harvard is stoking a “victimhood ideology” that is hostile to education, Mac Donald writes.